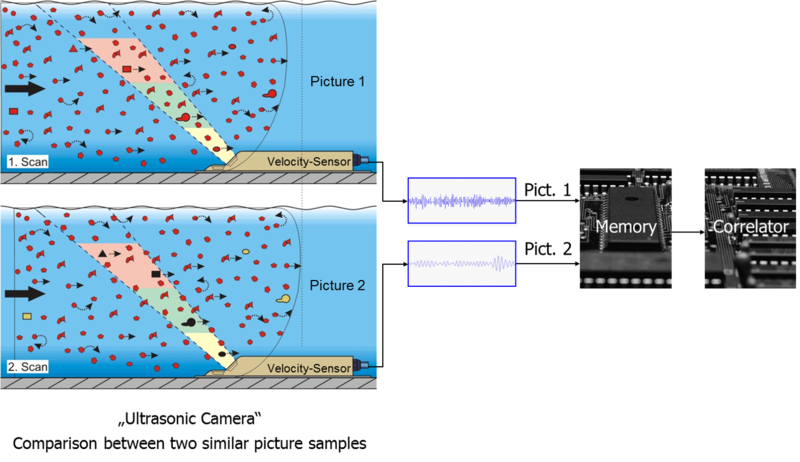 The flow velocity determination method is based on the ultrasonic reflection principle. One of the most modern and most efficient flow velocity measurement methods is the NIVUS correlation method. 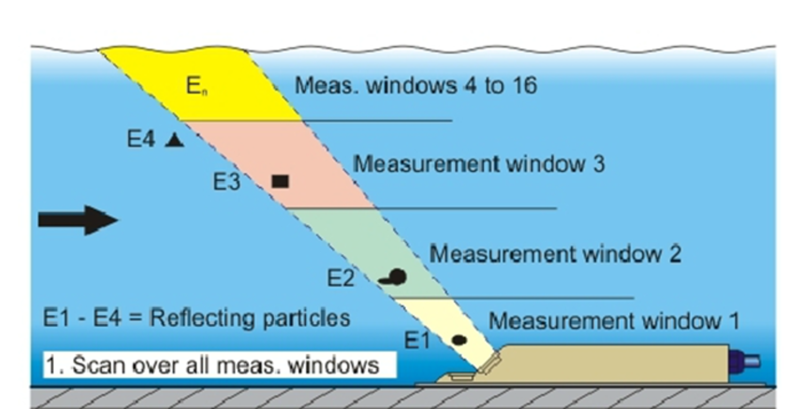 The reflecting particles contained within the medium (debris, min­erals or gas bubbles) are scanned using an ultrasonic impulse transmitted in a defined angle. The resulting echo is then saved as image or echo pattern. The echo pattern of a second scan a few milliseconds later is saved as well. The positions of the reflecting particles is determined by correlating/comparing both saved signals. The particles can be found in different positions in both images since they move with the medium. Considering the beam angle it is possible to directly convert the temporal shift of the particles into their velocity which is equal to the flow velocity of the medium. 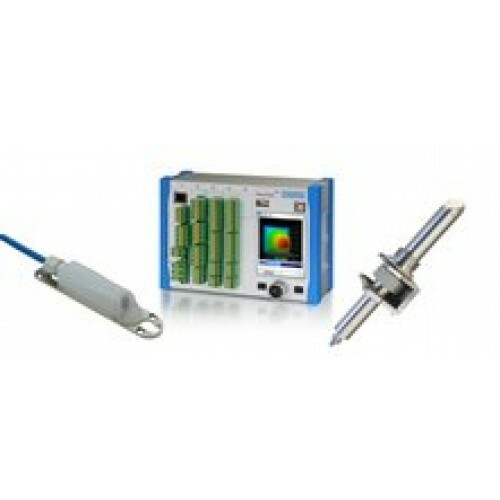 This allows gaining high accurate measurement values without calibration measures. Our measurment systems utilise up to 9 x 16 gates for flow measurement. The measured flow profile can be indicated directly on the display.